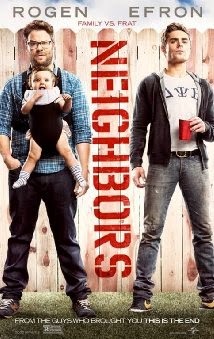 Plot: A fraternity moves next door to a young couple with a baby, quickly making the couple realize that their party days are behind them. NEIGHBORS is seriously funny. It is also seriously raunchy. It is also a great movie. If you can handle the raunch you will be entertained the entire time and you will laugh more in two hours than you've laughed in the last month. Rogen and Byrne's chemistry is fun to watch and their dialogue is hysterical. Efron plays a perfect frat boy and, if a shirtless Zac is your thing, you won't be disappointed. It's nice to see Rogen and Efron sticking to their roots, but still growing with the kind of characters we've grown to love and expect out of them. 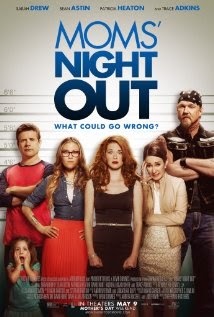 Plot: A group of moms decide to take a night off and have some fun, but then everything that can go wrong does. If you like really funny, family-friendly movies this is a great movie for you. Sarah Drew is knee-slappingly funny and it is a true joy to see Patricia Heaton play a straight-laced preacher's wife. While this movie isn't a big-budget film, (sometimes it looks made for TV), it does exactly what it set out to do...honor moms and make people laugh. There are some scenes where you may pee a little. It's that funny. 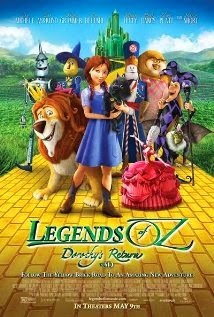 Plot: Dorothy returns to Oz to help have her old friends from The Jester. This movie was not made available for screenings. Hopefully it is good, but it's rarely a good sign when a movie is not screened before its release date.